See more information and photos of Thomas3110. we want to start on 19th February 2019 in Colombo and make a round-trip. We fly back on 9th of March 2019. 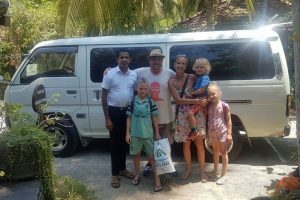 We want to start in Colombo, go down to the south (Anantara Kalutara and Anantara Peace Heaven), then to Yala Nationalpark, Ella, then east side of the island (Uga Bay Beach Resort and Jungle Beach by Uga Escapes) and then back over Sigiriya to Colombo. Any tips or suggestions on the itinerary? What highlights shouldn’t we miss? We are two persons and thought of taking a driver. What do you recommend? We will spend also some days just in the hotels. I would like to give itinary suggestion. Mirissa, Galle, Kaluthara Anantara peace hevan and from there to Airport. You have time and can cover up almost all places of intrests. Hire a car with driver.